Mystic is a gorgeous gal who came to us from an outdoor hoarding situation where she lived with other dogs but never had much human interaction. So, she can be fearful of strangers, and it takes time for her to be comfortable with new friends. Once you’ve won her over, though, she loves to be active, to get a chin scratch now and then and loves munching on treats! Mystic needs to go to a home with someone who has had experience with fearful dogs before. She would like to find herself in a settled, adult-only home, and would love a confident canine companion to show her the ropes! She may do well with cats, too! 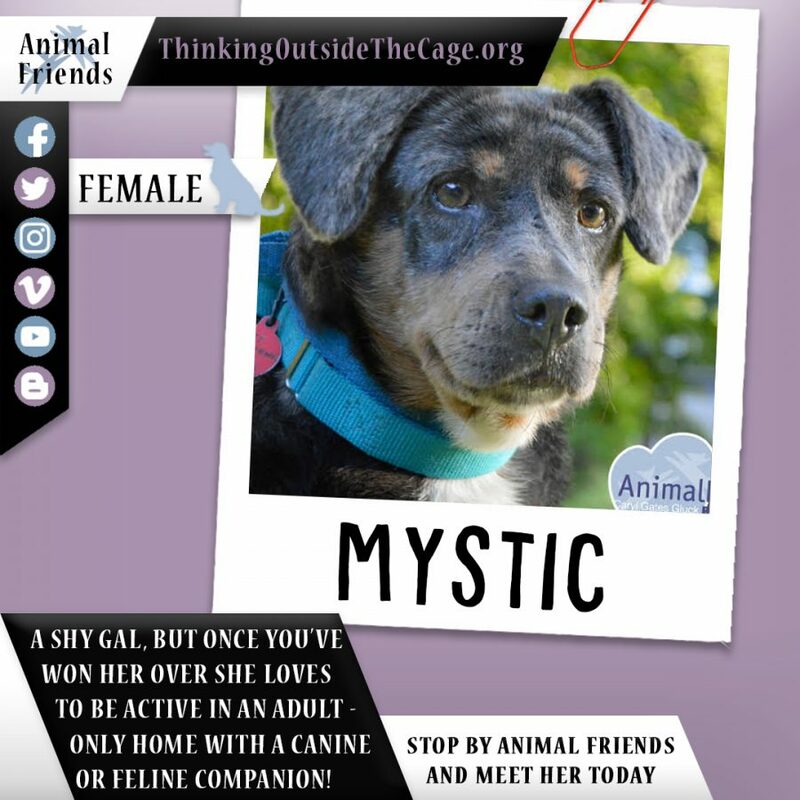 If you think Mystic might be the right fit for you, meet with an Animal Friends Adoption Counselor today!